The beginning of the week, month, or quarter brings new energy into creative endeavors. For many people like me, the new year seems to have the most significant impact on motivation. Of course, we all know it's just another day. The key is to leverage the renewed motivation to think and act differently. 1. Refresh your website to enhance the guest experience. Your website is the hub of all of your marketing mix. It's something you have control over and a business asset that can grow your business as you generate awareness and interest 24/7. I know getting a new website can seem daunting because of the investment in time and costs. The typical approach to sites is to spend a lot of time and money once every five years or so when you get feedback from staff and guests that it looks dated. We launched our new site with the intention of creating a better experience. It was a way to embody how we're evolving as a product and as a company. We simplified the messaging and added more ways to interact with our team with a live chat. As we mentioned in the past, getting a new website is easier than you think. All it takes is a shift in mindset to think about your site being the most customer experience. 2. Refine your social media strategy to engage with customers. I've seen a lot of customers put out some creative posts on various social channels. As with any marketing discipline, you should continue to get better. Continuous improvement includes a deeper understanding of how your customers and guests engage with social media platforms. One of the exciting ideas I've come across lately is HubSpot's research on how consumers want to engage with brands on social media. In addition to managing your business accounts, one idea is to get your staff members to become brand ambassadors. If you have some guidelines and teach them how to use their best judgment, you can encourage your staff members to get the word out about any campaigns you're promoting. Try gamify-ing the offer with some contests and prizes for staff members with the most engagements. 3. Using a Facebook messenger bot to allow guests to check availability for parties. 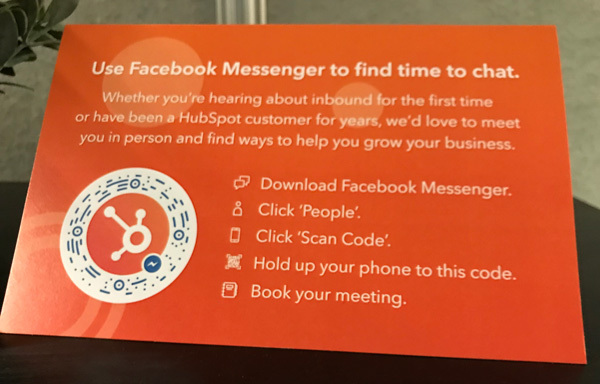 At the Inbound conference last year, I was fascinated by the use of printed material that links directly to a Facebook Messenger bot. Notice the step-by-step instructions in the signage. The experience was pretty remarkable. I also saw it as a way for our customers to create scale and keep up with demand, especially during busy times. While adoption may take longer and require more education, it's worth trying to entice people to check availability for birthday parties. To learn how to create a Facebook Messenger Chatbot, here's a good article to get you started. 4. Get familiar with and Actively Manage Google My Business. You may have noticed, but Google has made some significant changes in the world of local search. One of the most important tools you have access to is Google My Business. When it comes to the search intent of someone looking for go karts near them, there's a high probability they're looking to visit a go-kart track. If you want to increase visibility and influence your customers' decision to come to your facility, you'll want to get more active on GMB. Google Posts: You can publish products, events, and special offers. Q&A: You can answer questions to frequently asked questions that guests may have. Menu: If you have a cafe or restaurant, you can add menu items since that can entice visitors to choose your facility as well—especially if you have a menu that gives you a competitive edge. Reviews: Replying to reviews is a chance to thank your advocates or making things right with those who didn't have a good experience. Having the ability to reply or know who still needs a reply is pretty sweet. If you don't have Google My Business set up yet or would like to learn how to use it better, here's a good resource for you. 5. Create topic clusters for your content marketing. Search engine optimization (SEO) has evolved over the years. When you look at the history of changes to Google's Algorithms, they're improving the search experience for everyone. To help improve the search experience, the idea of creating topic clusters is a robust approach to helping Google's cause. Creating helpful pages on a topic and linking to relevant pages on your site is the SEO/Content strategy you'll want to leverage. You start by identifying topics you want to own in your market (e.g., birthday parties). You then create a robust page that covers every aspect of birthday parties and links to various pages and blog posts on your site. While executing your SEO strategy is a long game, it's going to be one of your most valuable sources of website traffic. 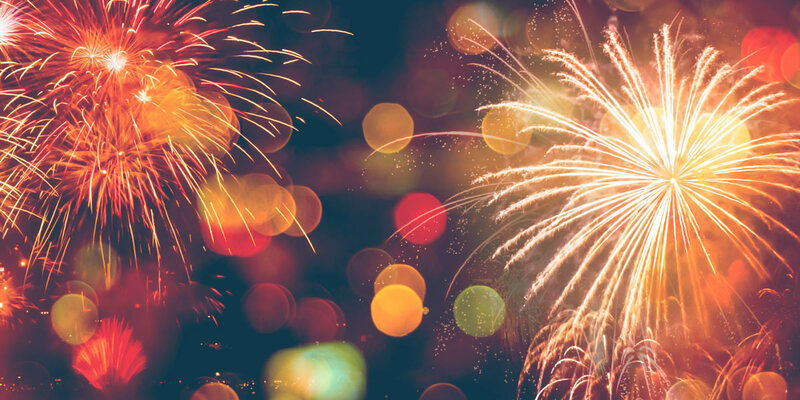 The actions you take today will yield results this time next year—especially if you track increases in the search traffic using Google Search Console. For more information about this concept, check out the research on topic clusters. Many of you may already be running successful Facebook Ad campaigns and sending emails to segmented lists. To take the guest experience to the next level with your communications, try using creating behavior-based triggers to tailor messages based on where they're at in the customer journey. For example, you can run a retargeting ad for those busy moms who have viewed your online booking page, but didn't pull the trigger. Chances are they were distracted by their rambunctious kids making a huge mess. You can run a timely Facebook ad to remind them to finish booking their party with you. Keep in mind this works best if you're already automating your party booking process. For more specifics on how to set up ads based on pages they view, check out this post by Social Media Examiner on How to Create an Effective Facebook Ad Retargeting Funnel. Now that you have some ideas to test out, the next step is to create an action plan and start testing and experimenting with the ones that make the most sense. The key is that you're always evolving and keeping your business from getting stagnant. As our industry continues to adopt this mindset, we'll create the rising tide that lifts all boats. If you have marketing ideas you're most excited about, share them with the community on Facebook. If you're interested in one of the ideas we're working on to teach owners and managers online party booking strategies, sign up for the PCS Academy and be the first to be notified when we turn ideas into action.